The Azerbaijan Translation Centre (AzTC) on Thursday received a visit from Dan Stav, Ambassador of the State of Israel to the Republic of Azerbaijan. 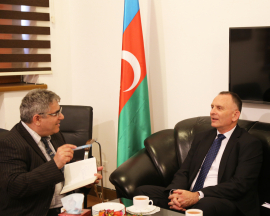 The sides focused on the literary and cultural ties between the two nations, AzTC’s international literary projects, including the translation of famous Jewish authors’ works into Azerbaijani by AzTC over time, as well as other issues to bolster bilateral literary relations. “The work of your Centre is very important in the current circumstances. Many foreign literatures are translated into Hebrew, reaching a wide audience in my country. 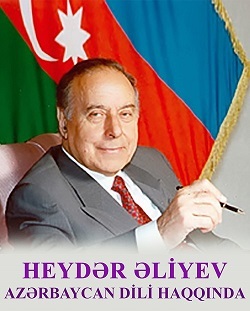 Regretfully, there are a few samples of Azerbaijani literature translated into Hebrew. There are institutions or centres in the world that are engaged in promoting their literature. There is a similar institution in Israel as well, and it has done a lot of work towards translating and promoting literary works from Hebrew into foreign languages. 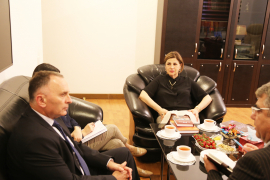 This is an important, serious and noble job that really contributes to the creation and preservation of mutual understanding and tolerance between all peoples across the world,” the Ambassador said. In conclusion, Afag Masud donated to the honorary guest the book titled “Selected Works by Sholem Aleichem”. Notably, Sholem Aleichem is one of the preeminent classical writers of modern Yiddish literature.